For the opera by Georg Benda, see Pygmalion (opera). Pigmalion is an opera in the form of a one-act acte de ballet by Jean-Philippe Rameau first performed on 27 August 1748 at the Opéra in Paris. The libretto is by Ballot de Sauvot. 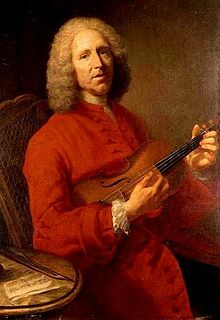 The work has generally been regarded as the best of Rameau's one-act pieces. He was said to have composed the work in eight days. The story is based on the myth of Pygmalion as told in Ovid's Metamorphoses. In Rameau and Ballot de Sauvot's version, the sculptor Pigmalion creates a beautiful statue to which he declares his love. His girlfriend, Céphise, begs for attention; Pigmalion spurns her and entreats the goddess Venus to bring his statue to life. Magically the statue enlivens, sings, and dances; Cupid arrives and praises Pigmalion for his artistry and faith in his powers. Much celebratory dancing and singing follows, attesting to the power of love. Cupid helpfully finds another lover for Céphise. ^ According to Lajarte, p. 207. ^ Although he lists all the minor performers, Lajarte omits reporting the name of the interpreter of the title role. It is stated instead by Arthur Pougin in his Un ténor de l'Opéra au XVIIIe siècle - Pierre Jélyotte et les chanteurs de son temps, Paris, Fischbacher, 1905, p. 172 (copy at Internet Archive). Lambert, Kevin, "Hearing Pygmalion’s Kiss: A Scientific Object at the Paris Opéra", Physics in Perspective 16, no. 4 (2014): 417–439. DOI: 10.1007/s00016-014-0148-2. This page was last edited on 24 January 2018, at 10:02 (UTC).